Morganite engagement rings only continue to gain popularity due to their stunning color, affordability, and overall beauty. We carry a large variety of morganite engagement ring designs that range in style and price. Over the years, we have had the privilege of seeing the changes in jewelry trends. 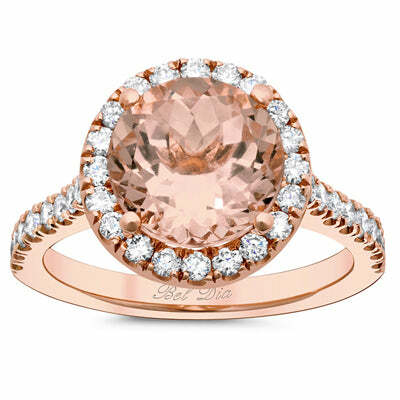 I wanted to highlight a few of my favorite morganite engagement ring trends that we have fully embraced at deBebians. Diamond accents add a touch of sparkle and elegance to our already stunning morganite engagement rings. 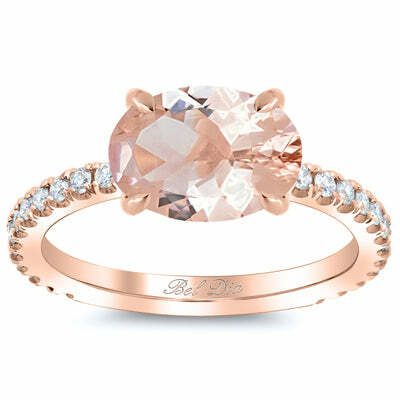 From three stone engagement rings to rings with a pave diamond band, deBebians has the diamond accented morganite engagement ring for you. A diamond halo is not just for a diamond engagement ring. 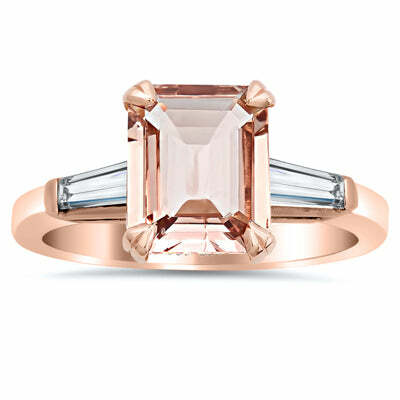 The sparkling halo of white diamonds further complements the peachy pink color of the morganite center stone. We carry morganite halo engagement rings with various stone shapes and sizes. An emerging trend of engagement rings in general is an east-west set center stone. This means that the center stone is set horizontally instead of vertically. This look is elegant and modern. Please browse all of our morganite engagement rings to see more of the hottest styles and trends. With all of our jewelry, we can customize any of our rings to your taste. If you are interested in designing a bespoke engagement ring, please contact a deBebians jewelry expert at your convenience.